Evening travel on the CATS LYNX Blue line light rail system through Charlotte will currently take you for 9.6 miles. The Blue Line has 15 stations, with a ridership of between 14,000 and 15,000 daily. 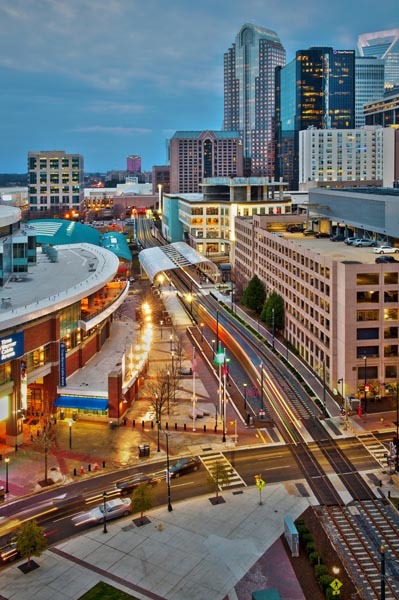 A recent extension of the successful LYNX Blue Line light rail service will bridge the city with the campus of UNC Charlotte. 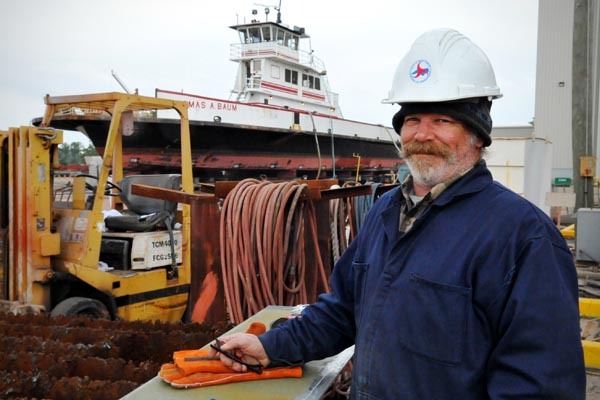 Tommy Blayden, a welder with the NCDOT Ferry Division, preps a section of a ferry’s hull plate. The plate will later be welded into place, thus, maintaining the sea worthiness of vessel and extending its future safe use. Love your pictures Katy. You are awesome! Thanks so much Betty! I love my job and the DOT folks I get to work with!